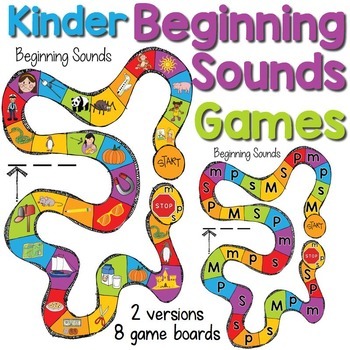 Beginning Sound Board Games helps students practice beginning sounds. 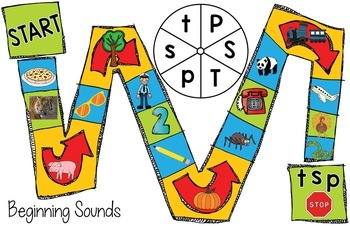 Students practice beginning sounds with 44 different picture cards representing sounds for short a, m, s, t, and p.
In the product are two versions of the board games. 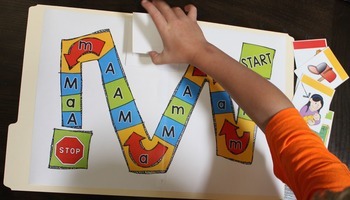 One version has the letters and is used with the included picture cards. The other version has the pictures on the board game and is used with a spinner, either on the board game or included separately. 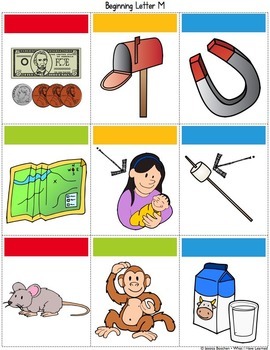 In addition, students can use the 44 picture cards for simple matching, Go Fish, or Memory Game activities independent of the board games. • Printing instructions for how to print poster size, folder size and letter size. Print what works best for your classroom and students.